The petition for declaratory judgment filed in Spalding County Superior Court that resulted in a temporary restraining order (TRO) sealing the Internal Affairs investigative record of David Gibson, former captain of the Spalding County Sheriff’s Office (SCSO) Uniform Patrol Division, differs from information provided to Lt. Ronald Brainard, of the Houston County Sheriff’s Office, the agency tasked with conducting the investigation. The petition, which was obtained by Ruby King, Sheriff Wendell Beam’s secretary, was filed the morning of June 15 by Johnnie Caldwell. Later that same day, Caldwell explained he had obtained the TRO to seal the record pending an injunction hearing in which he intended to argue in favor of the personal information – specifically the identities of the individuals interviewed as part of the investigation – being redacted, or removed, from the record. As part of his investigation into the allegations against Gibson, Brainard twice interviewed King – once on May 7 and again May 12. In his final report, Brainard reported King had not been sexually harassed by Gibson. “King substantiated that Capt. Gibson is unprofessional in the manner that he talked to employees; that he did use profanity to anyone; that he did make sexual comments or innuendos, but did not really direct them towards her. She (King) opined that was because she would not stand for it and because of her position working directly for the Sheriff,” Brainard wrote in his report. 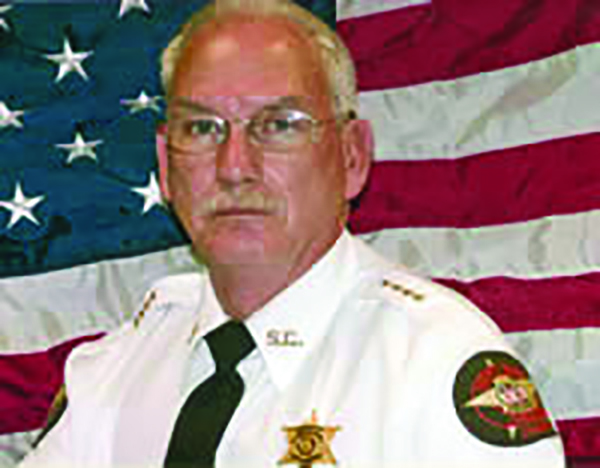 One day after receiving Brainard’s final report as part of an Open Records request submitted to Spalding County for emails from the accounts of Beam, Capt. Tony Ranieri, who heads the SCSO Criminal Investigation Division, SCSO Records Clerk Amy Martin and others, Beam contacted The Grip. “I just wanted to call because Ruby King brought it to my attention – now I don’t know where this is posted, if it’s on your website or what – but it refers to her as a sexual harassment victim, and she said she isn’t. It’s just a workplace harassment that she got and she was concerned about that,” Beam stated. In a follow up interview, Beam was asked again about the difference in King’s statement to Brainard and her sworn petition, as well as his own sworn response to King’s petition. Beam said he received the Houston County final report May 20 and he read it that day prior to meeting with Gibson May 21. After being read the portion of King’s interview within the report that differs from her sworn statement, Beam was asked if he is confirming King had not been sexually harassed. “Well, based on a conversation I have had since all of that, I think the intent in that was she, she was the petitioner – she was the one that actually signed it – she was submitting it on behalf of several of the victims/witnesses in this case although her name was the only one that appeared on it is the way it was explained to me. But that’s why I think it said sexual harassment/workplace harassment,” he said. Beam also said he could not say if Caldwell represents those other female employees. “That I do not know if he represents them or not,” he said. He was then asked if he had read King’s petition prior to swearing to his own legal response in which he agreed with the paragraph identifying King as a sexual harassment victim. “I’d have to check back and see. I don’t remember, Sheila, at this point. I know once she had said to me, she had said that he had made comments maybe not direct to her, but in her presence that might be considered sexual harassment,” Beam said. Beam then acknowledged that as the sole signer, King was the only legally-recognized petitioner. “Would you consider that, in your legal opinion, to be false swearing?” Beam was asked. Publisher’s note: The temporary restraining order that sealed the Internal Affairs investigative report pertaining to allegations of misconduct against David Gibson has been voluntarily dismissed, and The Grip is continuing to investigate circumstances surrounding its origin. New information will be reported when it becomes available. When are you going to get the details out on Officer Keith Dryden’s termination from the Griffin Police Department.